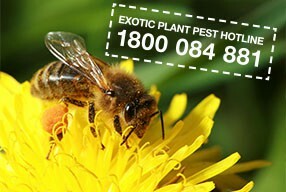 If you detect a pest or disease in any of your hives, it is important to take the appropriate steps to eradicate it. This must be done as soon as possible to prevent robber bees from spreading the pest or disease to other hives in your apiary or to the hive of other beekeepers. Weak hives are far more likely to be robbed and so maintaining good hive strength will reduce the risk of spreading diseases and pests. 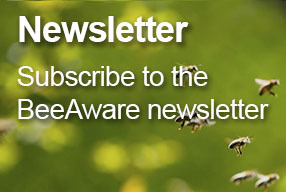 In Australia, the most significant bee disease already present is American foulbrood (AFB). A variety of methods can be used to treat a hive infected with AFB, including irradiation, hot wax dipping and/or burning of infected material. More details are provided below the section on Code requirements. The reason these treatments are required is because the spores produced by the bacterium that causes American foulbrood (Paenibacillus larvae) will remain on the equipment and can reinfect bees with which they come in contact. Antibiotics should not be used to attempt to control American foulbrood either: even though the bacteria may be killed by the treatment, the spores are not affected and will continue to infect the colony. 4.1 A beekeeper must take all reasonable actions required to minimise the likelihood that a pest or disease detected in their hive will either weaken the hive or be transferred to another hive. 4.2 Any weak hive must be managed to ensure that it does not become attractive to robber bees. 4.3 Any dead hive or any hive with insufficient bees to prevent robbing by other bees must be immediately removed from the apiary and/or managed in a way that prevents robbing and renders the hive and any honey that may leak from the hive impervious to robber bees. (b) rendering and maintaining the hive and appliances bee-proof until they are cleaned, sterilised or destroyed as appropriate. In this context ‘bee-proof’ means eliminating bee access to the affected appliances, hive and hive contents including honey that may leak from the hive. 4.5 If it is not reasonable to immediately implement the steps in 4.4 and the hive is not in danger of being robbed, they must be completed within seven (7) days. 4.6 A beekeeper must eliminate American foulbrood from an infected hive by sterilisation or destruction as soon as is reasonable but, in any case, before sale or reuse of the hive. (c) treated by another method approved by the relevant state or territory authority. 4.8 Frames, combs and hive mats and any plastic parts must not be dipped in hot wax but must be destroyed by burning or irradiated as appropriate. (b) any other means approved by the relevant state or territory authority. 4.10 A beekeeper is not entitled to any compensation for the value of hives, appliances or equipment infected with American foulbrood and subsequently destroyed to achieve compliance with this Code unless an industry funded compensation scheme is in place in their state or territory. 4.11 Appliances likely to be contaminated with American foulbrood must be scrubbed or steam cleaned to remove all traces of honey, beeswax and propolis prior to rinsing in clean water. 4.12 A beekeeper must not use any antibiotic for the purposes of controlling American foulbrood in hives. 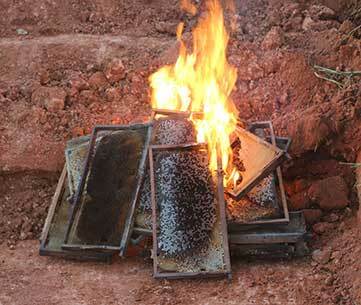 Note that if you use petrol to kill hives, the frames cannot be reused as contact with the petrol contaminates them. If you want to reuse the frames you must remove them before killing the hive and have them irradiated before using in another colony. Any combs that are left in the hive during the killing should be burnt along with dead bees and other material still in the hive. Hive boxes and supers can be reused provided they are irradiated, otherwise they should be burnt as well. 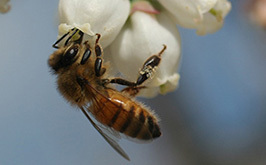 An alternative method of killing the bees is to shake them into a tub of soapy water, but it is likely that some bees will escape and potentially infect other hives. After the hive has been killed, the left over material is processed by burning (see below). 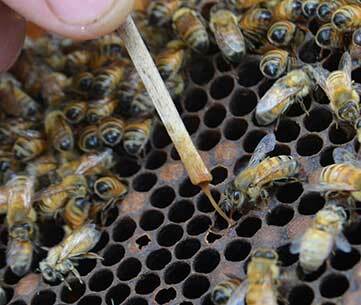 Note that combs can be removed prior to killing for honey extraction and can later be irradiated and reused. Steritech Pty Ltd offers irradiation services for bee equipment in New South Wales, Victoria and Queensland. 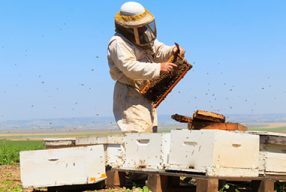 Steritech’s Melbourne facility also processes beekeeping equipment from South Australia and Western Australia, whereas beekeepers in the ACT are encouraged to use Steritech’s Sydney service. Due to the high temperature and volatile nature of molten wax, wax dipping can be a hazardous activity. Make sure to wear appropriate safety equipment including heavy duty industrial rubber gloves, a full face mask, work boots and long-sleeved shirt and trousers. Before burning, ensure that you have the relevant fire permits and that there is no fire ban in place when you burn AFB infected material.